Home Wearable News Does this mean that the iPhone will soon be finished? Does this mean that the iPhone will soon be finished? Two years ago, i came to replace my ailing BlackBerry ‘smart phone’. It was late summer 2011 and I didn’t really have a choice to make. Apple were on the verge of replacing the iPhone 4, and the World was waiting with bated breath. Would the new iPhone be the iPhone 5, or would it be the 4GS, following the trend from the iPhone 3 to the 3GS? Either way, it didn’t matter, I would be buying it anyway. Back then, the iPhone was the smart phone. BlackBerry seemed doomed, and two years later that hasn’t changed, although this time it appears to be terminal. Android was starting to make noises but was’nt worthy of note. As history would have it, Steve Jobs launched his last iPhone. It wasn’t the iPhone 5 – we would have to wait another year for that – nor was it the 4GS, instead it was simply the 4S. It wasn’t a major update on the old 4, in fact it looked identical to its predecessor. It’s only improvement of true note was the introduction of Siri, the virtual assistant. 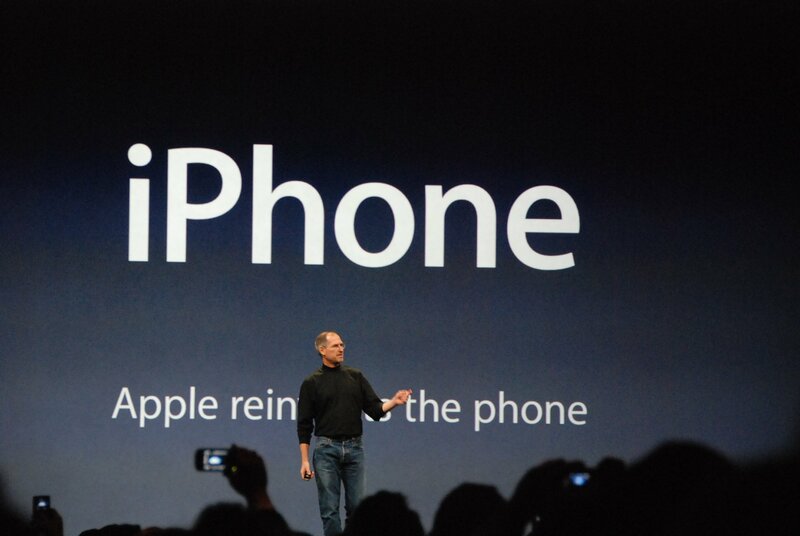 Back then it didn’t seem to matter that the new iPhone wasn’t a radical overhaul on the last. It was market leading, there was no other competitor of note and Apple had such a following, that they probably could have downgraded the new release and still sold tens of millions. Fast forward two years and the scene is very different. Yet again, my phone contract is coming up to renewal. Yet again, we’re sat bang in the middle of the speculation zone, with new rumours and murmerings coming out daily. The latest is that we’re set for a September 10th announcement of the new iPhone, followed by a September 18th release of iOS 7 and a September 20th release of the new iPhone. Yet again, we are speculating on the name of the new device, although fast forward two years and we’re debating between the iPhone 5S or the iPhone 6, and we’re getting the same old speculation pictures, like this one, which is the most compelling first picture of the iPhone 6 yet. The thing is that in 2013, Apple is starting to feel a little tired. They no longer have the magic of Steve Jobs, and frankly, as a company they have not yet proven that they can thrive without him. Their share price is down and continues to fall. They haven’t launched anything radical and truly innovative since the iPad took the world by storm. They’re in need of their next launch to be something really special, but not many of the rumors are pointing towards this. In fact in 2013, when it comes to smart phones, Apple are being left in the dust by Samsung. The latest report shows that the Android powered Samsung devices now account for roughly five out of every ten smartphone buys. Incredibly, now the talk is of Samsung defending against the resurgent Sony, as Apple start to go backwards for the first time since they welcomed Steve Jobs back into the fold. So popular is the Android system now proving to be, that Google are now facing an investigation from Brussels antitrust watchdog over claims that Google are preventing competition in the mobile space. Increasingly the mobile space is starting to look like the search engine space that Google dominate so handsomely, with their 90% EU market share. At 50% and growing fast, we’re not a stage where we could bet against them getting their in mobile yet. So it seems that Samsung have won the smart phone battle. Their growth has been so relentless over the past two-year phone cycle, that their main strategic aim now switches to customer retention. Where two years ago they were attacking the Apple upgraders, they now face companies attacking their base. In Sony’s case, 38% of their phone owners are former Samsung owners, with most poached on the Galaxy S2 upgrade cycle. As of now, Samsung have been doing pretty well in that regard though, despite the apparently high number of Sony defectors. Their retention rate is currently second only to Apple, with a 59% retention percentage. Apple, with their super-loyal fan base retain a staggering 79% of their customers. In a way, things have gone full cycle for Apple. They went from a niche technology provider to the ultimate it-boy brand, and have now fallen back towards their original core fan base. It seems that the iPhone’s days as the go to mass smart phone are now finished, irrespective of what happens in September.